In response to my last two posts a number of good points have been raised that I would like to start to address. Catherine has championed the idealism of Plato and Steiner against the Pragmatic vision and Don asked the devastatingly simple question “do I believe this?” In response to Don – I am still formulating my final beliefs and more to come on that later. As to Catherine I fear I may have given you the wrong impression about Pragmatism. You said, “I had never understood before that pragmatism denies the existence of the world of pure ideas, of pure spirit.” This is actually not accurate. Most Pragmatists did believe in pure ideas – at least in some form or other. Charles Sanders Peirce talked about the materiality of an idea. By which he meant the objective, uninterpreted “stuff” of an idea. William James spoke about pure experience. And John Dewey wrote about the prevailing quality of experience. Before getting into this territory I thought to share a word about what Pragmatism is. Pragmatism is a method of inquiry more than it is any particular view of what is real. Pragmatists believe that all conclusions about reality must be tentative and their validity must be constantly checked against their effect when put into action. In this sense your challenge – to wait to see the results of your research and use those results to come to a determination – is Pragmatic. The Pragmatists were simply taking the methods of scientific inquiry and applying them to philosophy. This attitude was based on a view of the universe as an evolutionary process in which human thought and activity were active creative participants. Truth to them was something that was being constantly created through the interaction between minds, bodies and the universe. Getting back to the issue of pure ideas, in an earlier comment you discussed my example of a circle being drawn on paper and said that before the circle would ever get drawn on paper it was a pure idea of a circle in the mind. To my understanding Peirce and James would not (in some ways) disagree with this. To really speak to this I need to do some deeper study of Idealism to just where the areas of agreement and disagreement are with Pragmatism (which I intend to) but for now here goes nothin’. Assume that there is a pure idea, some initial conception in the mind. Then when a mind makes contact with this pure idea it simultaneously interprets that idea. At this point the pure idea becomes known, prior to any contact with an interpreting mind the pure idea is unknown. Let us imagine that the pure idea is of a circle, once contact is made with that idea it immediately results in the concept of a circle and an interpretation that the idea of a circle is not, for instance, a square, a line, or a point. The Pragmatists were not saying that the pure idea did not exist as much as they were saying that the pure idea only becomes real to us when it becomes known and it becomes known through a brute encounter – a touch – and a simultaneous interpretation of the pure idea. These three elements Peirce called Firstness, Secondness and Thirdness. Firstness is the pure idea, secondness is the encounter with the idea, thirdness is the interpretation. Pragmatists (at least those I am familiar with) did believe in some form of a pure idea, what they didn’t believe was that it was possible to know a pure idea free from interpretation. The pure idea might be there, but as soon as you touch it with the mind you automatically interpret it and then it is no longer a pure idea, it is the combination of a pure inspiration PLUS some degree of interpretation. So all of our ideas must be held lightly, they are not absolute truth, they are interpretations of truth. The Pragmatists were the original pluralists and they wanted to be careful not to hold any ideas so firmly that they excluded the possibility of discovering still higher ideas – better interpretations – later. Their truth was a developing truth. Socrates said in Plato’s symposium about universal ideas: (in this case of beauty. It is translated from Dutch): ‘it always ‘is’, it never ‘becomes’, it doesn’t get bigger or smaller, it is not sometimes beautiful sometimes ugly, not beautiful in comparison to something else, no here beautiful but there ugly. Nor will it be beautiful as in the appearance of a face or hands or parts of a body. It doesn’t appear as an idea or a sort of knowledge. It is not to be found in another thing, nor in an animal or in the earth, or in heaven, or where ever, but in itself, as itself and with itself, it is always a form en all beautiful things share in that’. Socrates learned people to skip all the meanings and interpretations that the universal idea was embedded in to find the universal idea, the ‘essence of’. In a little book about Peirce and Pragmatism I read that truth does not exist unless it has effects that conceivably have practical bearings. I think this is the exact the opposite. They search for reality to define truth, for Plato reality it is just a shadow of the real thing. He is only interested in the essence, not in reality. Hello Liesbeth, Thank you for your thoughts and I certainly don’t want to imply that idealism and pragmatism are the same. At the same time the distinctions between them are more subtle than might immediately seem to be the case. Pragmatism is first and foremost a method of inquiry. According to that method the only thing that ultimately matters about an idea is what effect it has. If there is an idea that has no effect at all that doesn’t mean that the idea doesn’t exist, it just means that it effectively doesn’t exist. A pragmatist is not so concerned with whether ideas are real or not, as much as what the effect is of believing them to be true. If there are two ideas and believing in one or the other would result in absolutely no difference at all then a pragmatist would say they are effectively the same idea and that continued debate over them would not be useful. Charles Peirce believed that ideas were real and considered absolute idealism (Hegel) to be the most satisfying theory of reality. Pragmatism is not so much an ontological philosophy of reality, as it is a moral philosophy of value. It is interesting to note that this philosophy was developed by young men just after the American civil war. In that war high ideals – keeping the nation united and abolishing slavery among others – became the justification for a war that eliminated one fifth of the male population of the United States. These young thinkers were very wary of idealisms that might be interpreted to mean that the truth of an idea was not necessarily attached to the result of that idea in action. I do not know exactly which book I read it, but I remember Jung attacking Hegel as total non-sense, I will look for it tomorrow. What I understood lately is that his archetypes connect to the Ideas of Plato. When I read your response, I totally can imagine the last part, I had to think about a lecture last night with the Brahma Kumaris. The woman said that ‘mercy’ means being able to look beyond a deed of a person and compassion is that there is always the awareness of being One, whatever the action of a person. She was talking about not judging and I asked if not-judging a person who causes harm to others would not mean that one is partly responsible for the deeds. She expressed a very intense conviction that judging deeds of a person is not the same as judging a person. I think this points to the difference between pragmatism who focuses on the deeds and focusing on something higher. She gave an example of someone who got a gun pointed at him by a totally crazy person, while he could only see the suffering of that person. The moment he said that, the person threw away the gun and started crying. She also told the story of Irish workers who had the job to do something about the hatred between the Catholics and protestants and she lined them up opposite to each other. When they were looking at each in the face all hatred dropped suddenly and suddenly people started hugging each other. I think she was talking about something different than the ‘green’ acceptance of others. This is about eternal truth without saying that action doesn’t matter, because it does very much. It also seem different than pragmatism, even though I am actually not judging that. I was walking home later experiencing how normally I am constantly judging people around me, if I want it or not, somehow comparing yourself or whatever. There was such a peace, looking beyond all this, first and for all seeing ‘the beauty of the soul’ as they say. thanks so much for the blog and the comments. Actually I am getting excited and thrilled every time one tries to make a bridge between Pragmatism and Idealism. I myself don’t really know where the bridge is located so I want to offer here an ongoing inquiry. What comes to me while reading the blog is that what is at play here is the belief system in its interaction with the representation system. It is not really the facts that pragmatists and idealists will disagree with, but the orientation of their beliefs. Take the example of Rudolf Steiner. Everyone would agree that he is an Idealist, he was maybe the modern voice closest to Plato. On the other hand, he is one of the spiritual teachers with the most important Pragmatic legacy. Bio dynamic agriculture, schooling, alternative medicine, architecture, dance and arts… after 100 years one can say for sure that the schooling method IS working. So here we are, he got results, lots of results. Same for Albert Einstein. When he was an unknown clerk at the Patent Office, one day a friend asked him on what he working. He answered “I am thinking about light, space and time”. The friend thought he was totally nuts. a few years later the results were so astonishing that the whole scientific community had to reconsider its foundations. This for me defined a serious idealistic attitude. In a sense both the idealists (the serious ones) and the pragmatists will want at the end to see the results, and to form their judgement on them. But before results come, before judgement is made, the attitude is very different, and this for me has to do with the belief system. Take the case of the the idealist. To get a new Idea he will forget about matter and focus entirely on the pristine, absolute character of an idea. On the other hand, the pragmatist will have his two feet firmly really planted into the “real” world and will draw circles, or discuss with others, build a machine and let the ideas emerge from this. It is clear that both attitudes are very powerful and valid. I want to comment on what happens when people choose to take the idealistic attitude, since it is the one which is not very much fashionable at the beginning of the 20th century ,and which is very dear to me. That’s where for me it becomes tricky. What do we mean by “ make contact with an idea”? We could decide to mean “to come into contact with an idea means precisely to interpret it”. Hence we would equate contact with interpretation. This is where the idealists differ form pragmatists. For an idealist like me, the interpretation in the form of a drawing of a circle is quite material already, quite far away in the road of “making contact with the idea”. Before drawing the circle, I already had a mental image of it. The mental image in like a mathematical concept, I can still infer an outside and an inside of the circle from it, although I don’t have necessarily to. But further down the road, before the mental image, I get an “impression” of what the circle is. This impression is very precise [ the more one goes towards the subtle road the more it gets precise= think of it : the drawing of the circe is not at all a precise image of a circle, since you can never draw a perfect circle]. But the impression is already incredibly precise, much more than the mental image or the drawing. At the stage of the impression, there is no notion at all of the inside the outside and the boundary. Beyond the impression, well I believe there are what Steiner calls “real beings” but I got only once this experience a few times only [ actually at the last retreat with Andrew- I saw a chiral object which was like a Being, after not having had a conscious though for or day or so… the first though that came was a chiral object, like a powerful Being]. My point here is that there is an infinity between the material representation and the pure idea itself. There is a void here, a gap. The way one accesses to the pure idea depends on our belief system. Simply because if one doesn’t believe that it is possible to deal with an idea solely through impressions for example, then one will never contact the impressions of the ideas, on will never enter this world. On the other hand, by some kind of miraculous operation, the more one believes in it, the more this enchanted world reveals itself to us. It just opens in front of us and we get terribly scared, because our intellect is now at the border, at the brink of a precipice. In front of this gap, this precipice, our intellect has to forget its representation system and rely on it belief system. Hello Catherine – Bravo! I really appreciate your post here. I think you really get to the heart of the matter as I see it. “It is not really the facts that pragmatists and idealists will disagree with, but the orientation of their beliefs.” Idealism and Pragmatism are not opposites. Idealism stands in opposition to Materialism and you can be a Pragmatics Idealist or a Pragmatic Materialist – and to be honest most of us are. If I was going to oppose something to a Pragmatic Philosophy I would say that its opposite was a Speculative Philosophy. Purely speculative Philosophies are those that speculate about the nature of reality without any concern with the relationship between those speculations and what they are resulting in. Hegel was generally criticized for being overly speculative. He created the last great theory of everything, but a great deal of it was speculative. He postulated the existence of an “absolute mind” and he argued that the idea made sense, but there was not anyway to test the idea in practice you could accept it on purely rationalistic terms or not, but you couldn’t test for the existence of an absolute mind any more than you could test for the existence of God. So a Pragmatist like William James came along and said…even though we can’t test directly the reality of God…what we can test is the result of “believing in” God. Does a belief in God have better results for human life than not believing? That would be the Pragmatic approach. So some Pragmatists might decide to believe in God and others not, but to be a Pragmatist they would be making that choice based on the effect of that idea in life. I am very happy that we have come to this level of understanding because as I go on in these posts I want to start to tackle together the underlying question that all this rests on. How do we know what is true. The philosophical trouble with idealism is that the truth of an idea tends to rests on personal intuition and places few objective constraints on reality. The trouble with Materialism is that it dramatically limits reality to only that which can be measured. The trouble with Pragmatism is that there is no way to objectively measure the value of an idea in action and it tended toward a human-centric view of value. So these are three different approaches to belief and all have problems. In the mid twentieth century linguistic philosophies tried to solve the ambiguities here by basing all truth on the analysis and accuracy of the language that could be used to describe something. That had many advantages, because it forced philosophers to get much clearer about what they were saying and seemed to limit the wildness of speculation and at the same time it limited the work of philosophy drastically and so it also is called into question. What I see today at least in American philosophy is attempts at synthesis of philosophies using as the attitude Pragmatism and then looking at elements of idealism and analytic philosophy particularly to create a fuller picture of reality. Recently one American philosopher write, “Transcendentalism (the 18th century American Idealistic philosophy) never died, it just went underground for a while.” It seems that Idealism is making a comeback, now armed with a Pragmatic attitude and a Linguistic/Analytical sophistication that it lacked at times in the past. The leap from pure materialism to Pragmatism in this sense is that ideas are granted existence. They are caused by something and in turn are caused. My model here in contemporary philosophy is John Searles who might consider himself a Naturalist rather than a Pragmatist, but I see no great distinction. James was a Psychologist and started from an assumption that the mind was real in a materialist sense because it has effects. It is a legitimate subject of study because it exists in the world with practical consequences. So too with ideas, metaphors, mental models and religion. So far as they affect the world, they are real like the material world out there. I think the ongoing interest in Pragmatism arises from a practical dissatisfaction with materialist philosophies that treat only the brain as functioning in the world and ideas and mind as epiphenomenon to be ignored or explained away. Here is an exchange of emails that I just engaged in that is of interest to this conversation. In science, physics and engineering to be exact, this question of the actual vs the ideal comes up all the time. Theoretical and applied physics constantly challenge each other. Often with bitter words, or contempt or indefference, the two worlds while needing each other, often can’t get along. It’s like marriage. The ideal and actual are often miles apart, and yet the prospects of it working is eternally compelling. We keep trying and trying to get the one to approve of the other. The actual world of the applied physicists, like good pragmatists, asks the theoretician to explain what is happening. The problem has from the beginning to the present been such that what the theorists says is happening turns out to be disproved when the applications are made. So we have a graveyard of dead next to a hospital of ideas on life support. The world is in a philosophical crisis. The ideal and actual can’t help each other. So the people who do the pragmatic experiments know what works and what doesn’t, but not knowing why it works, have no larger context in which they can fit there word. The theoretician is still asked to come along and supply the context. Both have their value and like walking, one foot has to be in front of the other, alternating so that we can move forward. Bringing this back to your discussion, how do pragmatists walk with the dreamers, the theoreticians of philosophy? or don’t they. What worries me is that the one will fail to realize evolution is a walk, each leg alternating with the other, joined at the hips. This is great. In fact I am going to try to incorporate it into my next post. We are working with the Realist Nominalist debate. If we image a scale that measures on one end some combination of wholeness, generality, theory and speculation and on the other partiality, specificity, application and pragmatics, we have a realist/nominalist scale. Science tends toward the nominalist end of the spectrum, philosophy toward the realist end. Science was and still is born out of philosophy and I think ( I would love to know if you agree) that it is the ability to conduct experiments that draws the sharpest line between science and philosophy. If you can’t design an experiment to test something it is still philosophy. The Pragmatist were feeling that philosophy at the end of the 19th century was floating away toward unconstrained realism and they tried to drag it back closer to science (Peirce and James were both scientists) in the 20th century Thomas Khun who was not a Pragmatist, but certainly a Pragmatic thinker, as well as others have felt that science is to crowed at the nominalilst end of the spectrum and have tried to lift it up to acknowledge its philosophical underpinnings. And so there are more speculative and more pragmatic philosophers and each philosopher has some measure of both speculative and pragmatic tendencies. The Pragmatists imagined creating a “community of inquirers” (Peirce’s term) that would act with the same kind of cohesion in philosophy as the “community of scientists” acts in science. Another thing interesting to not in the distinction of science and philosophy is that science decided at some point that anything having to do with morals and aesthetics was not part of science. These were considered to be subjective opinions not objective facts and had no place in science. Some scientific philosophers have begun to show (Khun being an early example) that science is more subjective than we once thought – and the Pragmatists were trying to conceive of a way to define reality that would extend the boundaries of what was considered objectively real to include value and morality. Morality is not just an opinion it is a fact they argue. Don, I really appreciate your continued contribution to my thinking. I am still heading…slowly and willy nilly toward an understanding of social reality (remember that theme?) and all of this is important preliminary work. The other thing that the Pragmatists’ were doing was trying to create a communal definition of truth and morality that wouldn’t float away into pure relativism, but would retain the empirical constraints of science. Dear James, Thank you for your comments. I took a look at your own blog and really appreciate your own Pragmatic application of philosophy. I look forward to the having the opportunity to continue to engage together on these all important topics. As I see it decision making (in reference to your blog) is central to Pragmatism and central to what it means to be human. within this definition, both Steiner, Einstein and Bateson can be considered as Pragmatists…? although we agreed at the beginning at least for the two formers, they were in the camp of Idealism. Can we say that they are Serious Idealists ? Anyone serious will want to have results. You don’t need to be a Pragmatist for this. And sometimes, one could say that Pragmatists are not the ones who care the most about results about big results I mean.One could say that being a pragmatist is also a way to be content with rather small results while idealists like Steiner or Eintein [ I don’t find better examples ,sorry] would care only about “big results”.They take the risk to have no result at all, if it is not big enough. A pragmatist will not take the risk to get no result at all; a small result is better than a big one. I feel I agree a bit better with Don’s description for scientists rather than for the philosopher. I feel the whole discussion has moved towards Science actually. As Don said, in Science, the theoretician is dealing with ideas, the experimentalist with facts. Both want results. 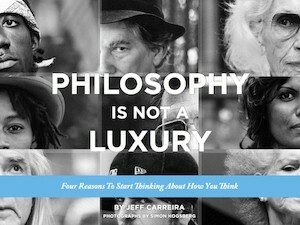 I agree with you that when the question is asked in philosophy it gets trickier, since by essence philosophy deals with ideas. So to be a pragmatic philosopher is a challenge, and I am not sure it is not a paradoxical injunction altogether. Just an impossible thing to achieve. It was the subject of another blog : once philosophy applies to life, then it becomes spirituality ? Catherine, I had to think of your question, reading this…, maybe reading this is only for me clarifying. When a thinker analyses or criticizes an argument from everyday discussion or from general philosophy, we should expect two things: first that all the premises of the argument in question shall be explicitly stated and second that the rule or model (corresponding to the transformation rules in symbolic logic) to which his argument or any other similar argument conforms shall also admit of explicit statement. If their premises are real facts, also their conclusions will be p.49 of Peirce & pragmatism. When we are engaged in any continuous and purposive thinking about the actual world, the facts which this world forces upon our attention must be taken account of in the special way that thought requires; that is, they must be accepted as new premises to be developed in accordance with the principles that have guided our thoughts so far. The great distinction between our purely formal thinking (as in pure mathematics and deductive logic) and our experimental or factual thinking, lies in this: that in the former the development of our thought is constrained only by certain conditions which we ourselves have laid down –either explicitly, in the statement of the hypotheses we select for the purposes of deductive development, or else implicitly, in so far as they are necessarily involved by the symbolism we elect to use; whereas in the latter our thought is constrained by factors that are in no sense of our own choosing p.51. Just read a big article in my newspaper about pragmatism (‘pragmatic thinking is not so bad’): ‘it doesn’t matter if it is true, as long as it works’ (=John Dewey). This discussion is caused by the request for our mission in Afghanistan. The ‘green party’, a fusion of the most anti-military party there was and other left wing parties, is now actually accepting the mission to Afghanistan –IF not military. There was discussion on TV where the new leader ‘Jolande Sap’ was asked ‘where exactly is the point where ‘not-military’ and ‘military’ is divided …a policeman can defend himself and civilians, but cannot run after a Taliban shooter, because than is becomes ‘chasing Taliban’ which is military. The green party is the most ideological party and now they show to be pragmatic, the leader is under great fire of her own party. Jolande Sap, she is a new kind of politician is being mocked for talking privately for hours with the (conservative) prime minister in his quarters and letting him promise in public ‘to keep his word, that our mission is not military’. That is the new pragmatism. Yesterday there was a comic sketch on TV about our official pragmatic party: ‘they are celebrating, having NO meaning for 16 years..’. Our official democratic party is stuck in his own ideology. Jolande Sap presents a new politician, she is part of the ideological collective, but takes her stand as a leader, using all her individual qualities and integrity, showing pragmatic quality. all free technique. Conflict games – Yes!